8 Ports VoIP GSM Gateway GoIP-8 for call termination and origination VoIP to GSM. It is SIP&H.323 based and compatible with server GoAntiFraud. 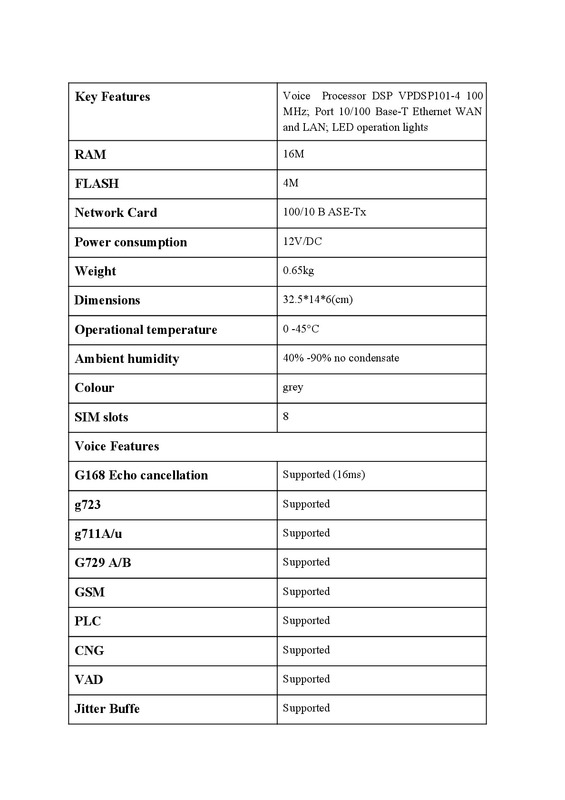 It can enable to make 8 calls simultaneously from IP phones to GSM networks and GSM networks to IP phone. GoIP 8 is a VoIP GSM gateway for converting VoIP to GSM, and vice versa. The device provides 8 slots for SIM-card. 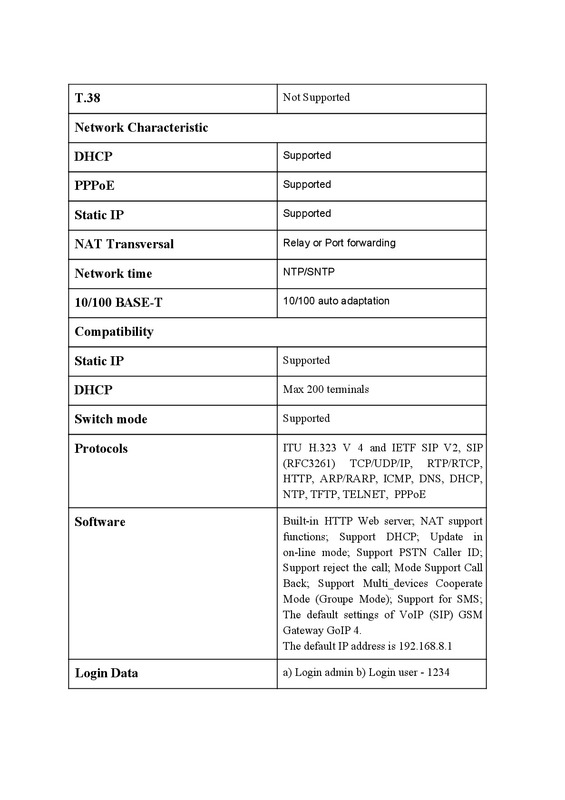 The model supports the SIP voip protocol. Using an eight-GoIP gateway, you can make outgoing and receive incoming calls via IP PBX. With support for the Caller ID feature, user numbers can be identified when transferring traffic between networks. GoIP 8 allows you to organize an efficient system of communication by means of 8 GSM-channels of communication. This gateway is compatible with most existing IP PBX and other types of VoIP equipment. Because of this, it is ideal for the rapid creation of a VoIP system into an existing telephone. In comparison with conventional telephone networks, the system of GoIP gateways provides significant savings. In addition to the popular SIP protocol, the eight-port GoIP supports H.323. Therefore, there is no incompatibility problem with the equipment operating via this protocol. Using VoIP GSM GoIP gateways, you will secure your telephone system due to the two-way authentication via a set password, and "whitelist" feature. This will prevent hackers from unauthorized access to equipment. Reasonable cost, excellent voice quality and broad functionality are the characteristics that make GoIP-8 one of the most popular VoIP GSM gateways. Shipping cost of equipment is not included in the package. Rates depend on the destination country. We try to deliver all over the world, but in some regions there are certain difficulties, causing restrictions on the delivery of GSM gateways and SIM-banks. You can get more information on your country from contact your personal consultant. Make a request, and our manager will contact you as soon as possible to clarify the details of the order. The specialist will inform you about if equipment produced by GoIP, EjoinTech & ChinaSkyline can be delivered to your country, as well as determine the final cost of the goods.